Magnet an magnetic products . Material grade range from N35 to N35AH . 1. 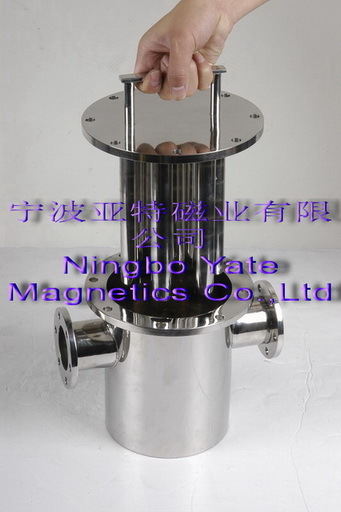 Magnet (NdFeB magnet) is made from neodymium, iron, boron and same other trasitive metallic elements to make it strong. 3. Grades: From N35 to N52;N35H to N48H;N35SH to N45SH;N30UH to N40UH;N30EH to N38EH.By the way, we can suggest the grade No. what will our customer's request. 4. Coating: Ni, Zn, White-bule Zn, Expoy, Gold, Etc. 5. Size: various shapes and size or according to your request , also we can design the size for your request. 6. Application:Its widely used in Motors, Wind energy, car, speakers, earphone , etc. 7. Shipment terms: according to your request. 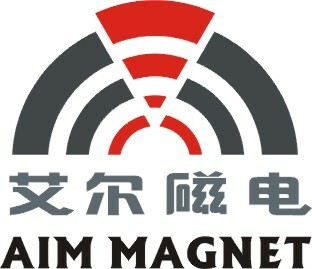 Company is specialized in developing and producing many kinds of permanent magnetic materials and magnetic products. 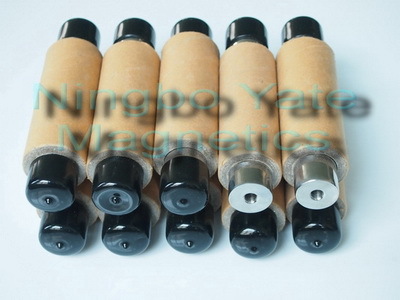 Main products include: sintered Ndfeb Magnets, with,heterosexual Ferrite Magnets, Rubber Magnets, and Samarium Cobalt Magnets etc.permanent magnets .And many kinds of magnetic magnets such as magnetic suction cups, magnetic filters, magnetic frames, magnetic bars, fridge magnets, magnetic bookmarks and so on. Our annual output of sintered Ndfeb magnets is up to 300 tons. We can produce Ndfeb products in performance of N30,N33,N35,N38,N45, N45M, N45H, N42SH, N33UH,etc. Our products have the wafer specification of 1 170mm, with the largest square block of 200 * 200 * 34mm. We produce all kinds of tile shaped and trapezoidal shaped products. According to customer's production requirements, the surface of galvanized products is Zinc,Nickel, Nickel Copper Nickel, Gold, and Epoxy . Our company has advanced automatic production equipment and testing instruments, gathered a group of experienced professional and technical personnel engaged in manufacturing magnetic materials and magnetic products. With many years of researching and developing experience, our process control is skillful and accurate, in strict accordance with ISO9001 international quality management system. Products are widely used in automobiles, mobile phones, digital cameras, jewelry, clothing, all kinds of hardware accessories, electrical and laser heads, toys, gifts, speakers, packaging, leather goods, medical equipment and advertising industries. All products comply with Reach, RoHS and other environmental protection requirements and are exported to the United States, Europe, Africa, Southeast Asia and other countries and regions. We will persist in "innovative, people oriented, and customer first". We are in the pursuit of excellence to continuously improve overall quality and strengthen the awareness of customer service. We continuously improve product quality and provide customers with the most competitive high quality permanent magnetic products. "Create the maximum value for community, employees, shareholders, and customers" is our eternal goal.